1. Quality STAFF Our wonderful staff believes that through caring, positive and motivating teaching, dancers will develop a self- confidence that will let them be a star on whatever stage they choose in life. All of our staff love children and dance. They are talented not only as dancers, but in the art of working with children and young adults. We believe our dancers must enjoy their dance class, so learning is taught in a positive atmosphere. Our instructors attend conventions and workshops yearly to keep choreography and dance instruction fresh and innovative. 2. Small CLASS SIZES Our primary classes are kept at 12 students or less. Some classes have assistant teachers(especially our tiny tots – age 3 to 5 year olds- in the classroom. This allows us the opportunity to give each dancer the individual attention they deserve. 3.Everyone’s a STAR! We have both a recreational program for students who enjoy dance along with other activities and a competitive program for students who want to focus on dance as their primary activity. This allows for parents to choose the program that best suits their child’s interest. We believe in our motto, “Creating Stars on stage, as teams, in LIFE!” Dance benefits the mind, body and spirit. 4. True DANCE Facilities We offer a Marley floor over wood and hardwood floors in our facilities, which are the best for a dancer’s body when doing ballet and jazz. The leaps and jumps in these two dance disciplines are best taught on floors that provide some give upon landing. Marley placed over concrete floors do not supply ample cushioning when the dancers are executing dance combinations. As dancers become more advanced the type of flooring used becomes more and more important. 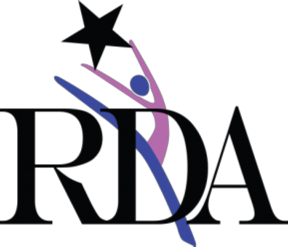 Dancers benefit greatly when training in a facility designed for dancers by dancers. Full length mirrors line every dance room in both facilities. A dancer must be able to do self critiquing when learning her/his dance combinations. 5. PARENTS Always Welcome Our Grantline studio offers observation windows. This allows parents to see their child’s progress throughout the semester. Our Rainbow Drive studio uses the “open door” policy. This means classrooms are taught with doors open for viewing. A parent may videotape or observe a class as long as they have notified their instructor. 6. Honest, Upfront Payment Plan – RDA ‘s payment plan is designed for easy budgeting for parents by being an inclusive plan. This means not only are you paying for your child’s weekly classes, you are also paying towards her/his other expenses that are required throughout a dance year (ex. costuming, practice cds, props up to $5, recital rose and ribbon, recital t-shirt). The payment plan does not include the uniform leotard, tights, dance shoes or the end of the year recital fee and video. Participation for a year (Aug – May) is a total of 8 payments. (A student may register for ½ year also.) Parents now sign up for direct payment withdrawal or charge from a Debit or Visa/Mastercard- simplifying your life with auto pay. 7.Community STARS! All students enrolled in our programs, receive several opportunities to perform in the community. We feel these performances instill important teaching elements: self- confidence, responsibility, dependability, and teamwork. It emphasizes the importance of an individual dancer’s dedication to the group in which he/she belongs. We participate in the local festivals – Harvest Homecoming and Stumler Applefest,Christmas at BassPro Shop – Just to name a few. 8. Spring Showcase with NO TICKETS That’s right! We allow families to invite as many friends and relatives as they wish to our final show of the year. We have a “ticketless event fee.” This allows no tickets (many studios charge $8 – $10 per person) to be sold and makes our Showcase a community event. The ticketless event fee varies from year to year, depending on the number of students in recital and the cost of the auditorium rental. 9. An “AWESOME” Recital We do not host your average dance recital. Our programs have a reputation of high audience appeal. Our best compliments come from the fathers and grandfathers who have said, “I can’t wait till next year!” and ” I wasn’t ready for it to be over.” We know that most recitals are not an affair that some family members look forward to each year, but we have changed that. We have members of the community come each year to just see the show. It is an event not a recital. Each year it is the weekend between Mother’s Day and Memorial Day. Come enjoy some wonderful entertainment by RDA’s talented students. Don’t forget; you can come enjoy the show for FREE. We also give door prizes just to say thank you for making our STARS feel special. 10.NATIONAL CHAMPIONSHIP Dance Teams Competitive teams are not for every dancer and their family. It is nice to know that if your child wants to join a team, she is in a program that is successful in preparing its teams to compete. You know that they are receiving the proper technique and classroom instruction to excel in the art form of dance whether on a dance team or in the recreational program.